If you have a friend, neighbor, or relative who is concerned about the direction of our country and want to help put it back on track, bring them with you to the GOP Victory Center, in Central Park, on Tuesday, August 26﻿﻿, 2014 from 7:00 to 9:00 PM and learn how each of us, in our own way, can help Ed Gillespie and Dave Brat win in November. Meet Laura Brat, wife of Dave Brat! Meet Audrey Jackson, Political Director of the Gillespie campaign! Put Dave and Ed’s campaign stickers on your car window. A window sticker is worth about $250 in free advertising. Pick up campaign stickers and signs and ask Republican’s to put them on their car windows and in their yards. Learn how to make effective campaign calls. Learn how to promote candidates in neighborhoods. Learn how to promote Ed and Dave with your friends, neighbors, and relatives. Learn how to bring people with you to the polls to vote. Meet Republican women from three other Republican Women's Clubs! Both Ed and Dave are outstanding candidates who addressed the SRWC before the Virginia Republican Convention and Primary. Join us to help them get elected and you can have fun and make new friends while you are doing it! 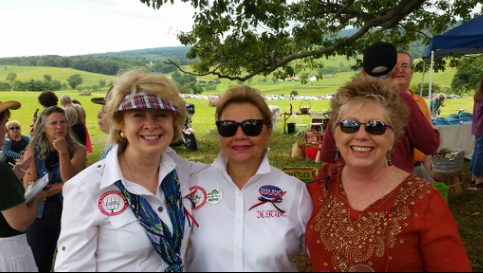 The Virginia Federation of Republican Women (VFRW) sponsored the "Boots on the Ground Soiree" on Sunday, ﻿August 24, ﻿2014 - 2 PM to 5 PM, at the Historic Liberty Farm, located in Paris, Fauquier County, VA. We loved the beautiful scenery, participated in live and silent auctions, and enjoyed a delicious BBQ with wine produced from a local vineyard. We participated in a "best boots" contest, spoke with Senator Bryce Reeves (17th District), Delegate Bobby Orrock (54th District), and many other wonderful Republicans. 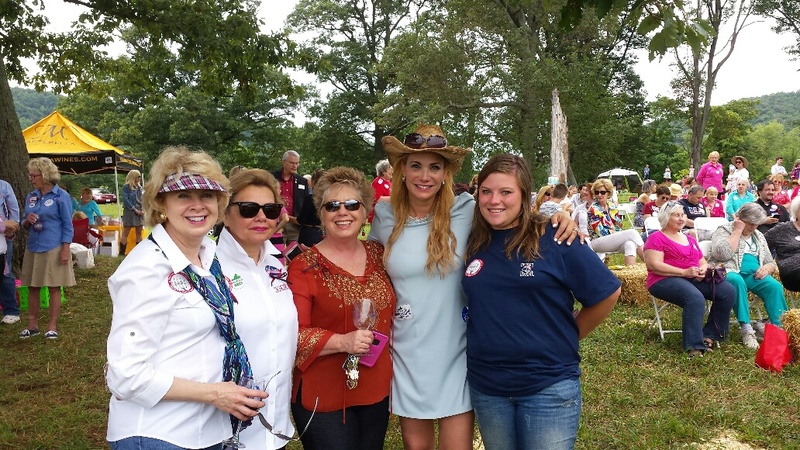 The ladies of the VFRW had a successful event and everyone had a great time. 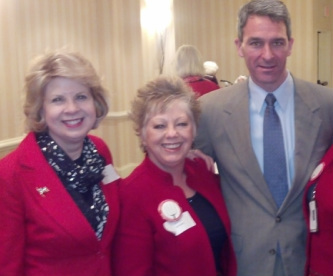 President Laura Morris and Barbara McNeely with Ken Cuccinelli. On January 9, 2014, the SRWC attended Legislative Day in Richmond VA. It was great to spend time with Ken Cuccinelli.